While winter isn't traditionally considered the best time to sell your home, there's no reason you can't get an offer during the colder months with the right staging. In fact, a study found that homes sold faster and for more money in the winter months, even in cold cities like Chicago. 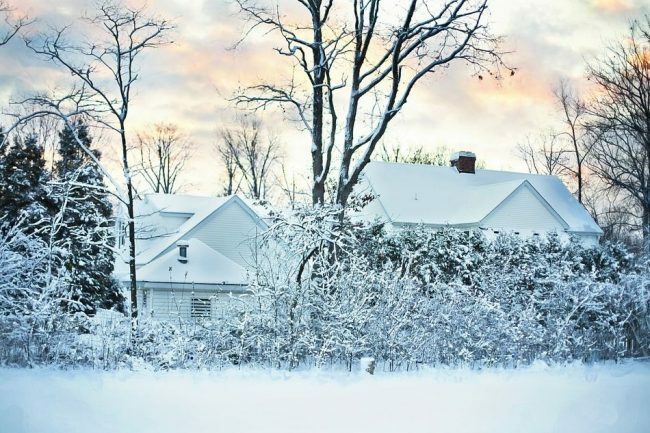 Here are five winter home staging tips that can increase your appeal to potential buyers. Whether you live in an area with heavy snow all winter or you've had a big storm on a day with several showings scheduled, all areas of the yard should be accessible for buyers. That means not only making sure there's a safe, snow-free path to the front door, but also that paths are cleared to any outdoor areas the buyer will want to view. This means sheds, patios, garages and recreation areas. And while entries can get grimy if your family is in and out with their boots on, this area should be kept spotless and clear of debris. Although our instinct in winter is to hunker down indoors, put your home in its best light by opening all shades and draperies, as well as turning on all available light sources (including closet lights). The exception? Turn off televisions and computers, which don't necessarily add to the warm glow you're trying to achieve. Speaking of a warm glow, your home should project a feeling of warmth to potential buyers when it's cold outside. If you have a fireplace that's in good condition, that's a great place to start. Try setting your thermostat a degree or two higher than usual to give buyers a reason to linger instead of heading back out into the weather. Ask a real estate company whether homebuyers in your area would respond well to layers of soft throws, rugs, pillows and other richly textured fabrics. While REALTORS® usually advise to pack away personal belongings when staging a home to create a clean canvas for buyers, tasteful holiday decorations can help create the warm, family feel you're trying to achieve. Think lush wreaths, a tree with inviting white lights, and candles in the windows for subtle yet powerful emotional appeal. Although your landscaping won't look as gorgeous as it does in the spring, pots of evergreens can help add some color to your walkways and yard. Always make sure that gutters are cleaned and shrubs are trimmed, too.